The film LOVE OFF THE CUFF (CHUN GIU YU JI MING) earlier opened with almost HK$ 1.8 million. 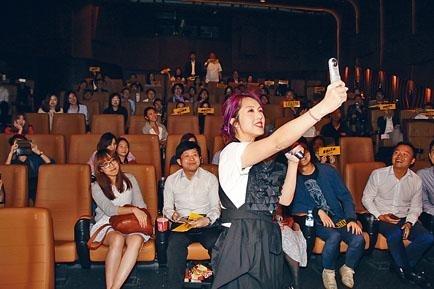 Lead actress Miriam Yeung Chin Wa went to the cinema to thank the audience. Chin Wa after receiving the good news happily said, "Wow, I am very pleased. Everyone is looking forward to it very much. Because it has been brewing for a long time, the atmosphere has been great. Everyone also has a connection to it. It is a good start, I hope that it will continue to perform well!" She also revealed that actually she, the director, Susan Shaw Yam Yam, Isabel Chan Yat Ning and others divided into four groups for audience appreciation all over Hong Kong. She went to 9 cinemas in one night, but lead actor Shawn Yue Man Lok was working overseas and unable to thank the audience with them. Chin Wa said, "Can't I finally set him up to pay for dinner this time? Last time I was pregnant and he promoted for me, this time I am repaying him with my son. I more than repaying everything in one week. Now I can start the clock, at least I want him to use his share to treat me to dinner!" Two nights ago when she appeared, the audience had no idea that she would. She hid behind the door to listen to their reaction and learned that the audience laughed at spots that they expected, which she felt excited and happy about. Instead when the audience saw her jump out from the dark they were also so happy that they were stunned. Chin Wa also asked the audience questions in exchange for the film's original soundtrack. This time Chin Wa and co-stars Chan Yat Ning and June Lam Siu Ha formed MK848 and remade LEGEND, for which she hoped to be nominated for a New Group award as the three of them together would be over a century old. As for Yue Man Lok Chin Wa invited him to sing harmony for WHEN I THINK OF YOU in the soundtrack. She joked, "He really shouldn't have, he was so busy but I forced him to sing. I even went further and asked him to make the music video too. He had no problem and said that I had no reason to get someone to replace him!" Speaking of their duet performance on a Mainland program and Lok Jai received online raves and calls for him to release another record, Chin Wa said, "I can't motivate him, I need help from his manager!" In addition, Chin Wa's husband Real Ting Chi Ko two days ago also booked a show for many friends like Linda Wong Hing Ping, Qi Qi, Monica Chan Fat Yung, Choy Yat Chi and others. 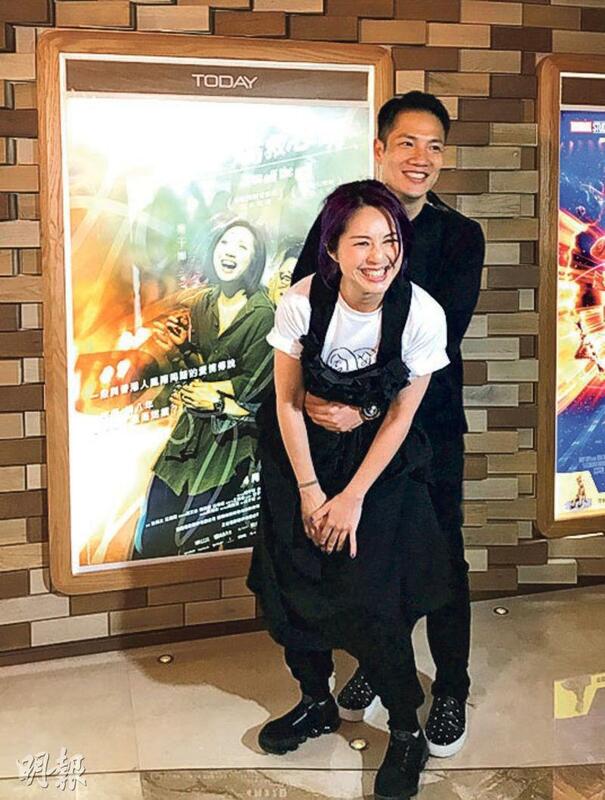 When Mr. Ting posed for photos with guests, he finally played Jimmy Cheung per request and made the LOVE OFF THE CUFF poster pose with Chin Wa.